As I prepare to give a talk as part of a panel at tomorrow's National League of Cities Conference in Washington D.C., here are some of my thoughts about what I'll say. Slide 1: Things like equity and making traffic bearable are things that government should be good at. That’s their rightful place and role. But something that the private sector, and increasingly businesses like Coke and Red Bull and Casper's Mattresses, to name a few, are good at and getting better at is what the mainstream media has been so good at for so long: telling stories. Slide 2: Local governments can and should be: 1.) Their own media, and 2.) Hyper collaborative with their community. 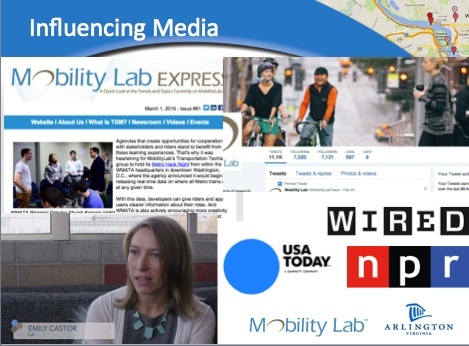 Slide 3: Mobility Lab is based in Arlington, Virginia and is a project of Arlington County Commuter Services. This is just a small division that’s part of the transportation department, which is part of the environmental department. It doesn’t seem like there would be resources to have a media and research company, does it? But, about five or six years ago, Arlington was smart. It wanted to get better at making its research about the incredible transportation work it had done be more accessible to the public. That home became Mobility Lab. A couple of years after that, about four years ago, Arlington wanted to start telling stories about the research, to make it even more accessible to the public. Those stories would be all about what makes Arlington special. 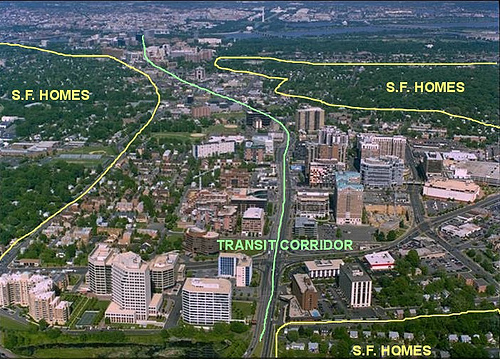 Forty years ago, the county was an industrial, ugly, pass-through from the Virginia suburbs into Washington D.C. Arlington made important decisions to build Metro underground along a corridor that was not alongside Interstate 66. That gave the corridor room to breathe and grow for a completely walkable, bikeable five-mile stretch from the Potomac River at Rosslyn west to the Ballston neighborhood. This corridor development has made Arlington famous, and Mobility Lab is a way to communicate that unique success to others around the world, while also bringing back the success of others so Arlington keeps informed, can learn, and can continue to become a better place. 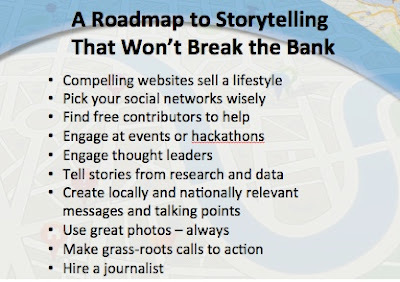 Slide 4: So we built a media site because we identified that nobody else had a good website completely dedicated to the very specific topic that Arlington is great at. And the mainstream media was never going to give it the focus it deserves. Yes, the corridor was built, but the key was getting people to continue using the transportation services offered. 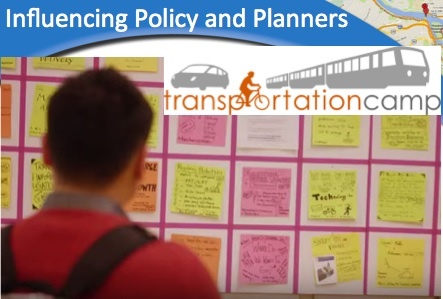 Tons of other non-profits, companies, and media are focused on transportation infrastructure and technology, but we wanted to focus on getting people to use transit. Slide 5: We think we have been very successful, rapidly growing followers on Twitter, through our newsletters, and at our website. There’s been a big media-relations push as part of it as well. We came up with our central messages and talking points, and have constantly worked to refine and update those. This work has led us to become national transportation experts, getting quoted everywhere from WIRED to USA Today to NPR to all kinds of transportation trade publications. We also focus when we can on other assets like podcasts and videos, while hopefully not hindering the growth our two or three top-level communications priorities. One reason we've been able to do so much is because we have brought more than 100 contributors into our ranks. This is a topic that produces an endless stream of enthusiasts who want to get involved, and they are our army that spreads our message far and wide. Local governments have a duty to give these kinds of people a voice. We had to set our minds to not being afraid what people would say but to embrace what they say and try to learn from them. Slide 6: And we’re not just aiming to influence the media, which of course in turn influences policymakers, business leaders, and the public. 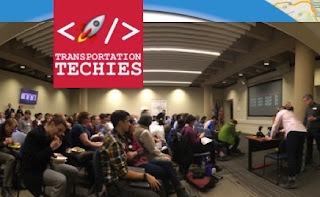 Our Transportation Techies group started from scratch less than a year-and-a-half ago and now has 1,400 members. This is a D.C.-only group. There are somehow 1,400 Transportation Techies in this town. I suspect other places would be similar. 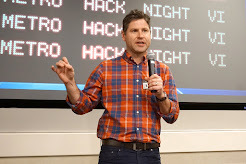 This group meets monthly to have a show-and-tell of the best hacking, big-data storytelling, and other innovations in this space. 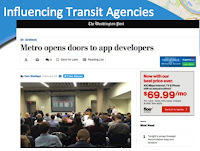 Slide 7: And the Techies have influenced perhaps their biggest target: WMATA Metro, which runs buses and the subway here. The first Techies event ever held at WMATA headquarters just happened. The Washington Post wrote two features about it. And people are going to eventually benefit from the Techies’ work in helping agencies open data in order to tell better stories and get trains and buses running more dependably. Slide 8: We also run a thing called TransportationCamp that happens every January in Arlington. About 400 attended this year, and these attendees consist of transit industry folks, but also of enthusiasts, and to see the two come together is heartening. People outside the inner circles of power have a chance to influence policy and planning, and they are doing it at this "unconference," which is now expanding to happen all over the country and world. You can organize them in your hometowns, and Mobility Lab will help. Slide 9: Finally, don’t jump into all this without a plan, a vision, a strategy, and something you are sure you can do better than anyone else. Don’t give people reasons to leave you for your competitors. Be valuable and the rest will take care of itself. So how to do all of this? 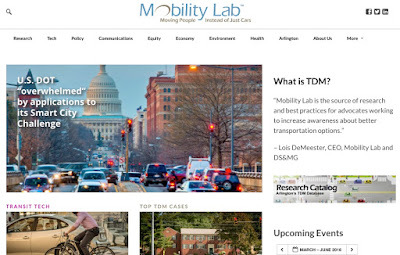 Take after Arlington and Mobility Lab.